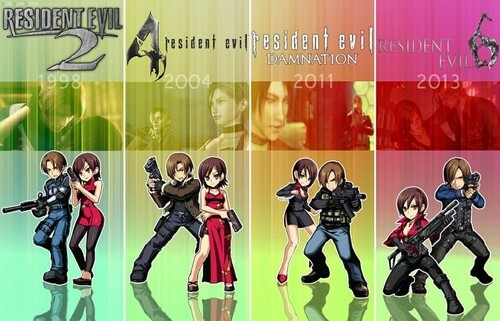 Ada Wong and Leon S Kennedy - The Years.. . Wallpaper and background images in the resident evil club tagged: photo aeon adeon ada wong leon kennedy resident evil resident evil 2 resident evil 4 resident evil damnation resident evil 6 gaming. survival horror action video games.